There is a problem in Dallas. 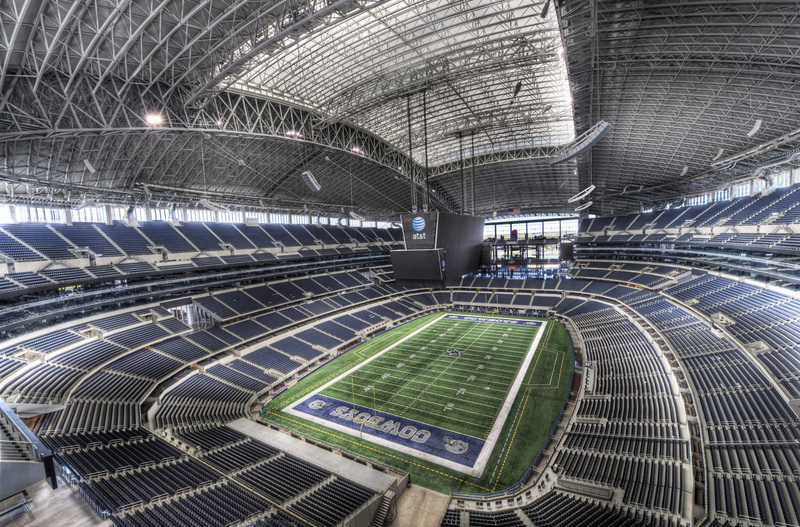 The way things are going, this is what Cowboys’ Stadium will soon look like at game time. That’s not news to anyone. Some will say it’s the talent on the field. Some will say it’s the offensive coordinator, the defensive coordinator, the head coach. Some will say it’s the scouting and drafting. Some will say the team collapses in December due to poor condtioning. The problem is all of these, but it’s also none of them. There is really only one problem with the Cowboys. The problem is Jerry Jones. Jerry Jones is gifted in the business of business. New stadium, big money rolling in from soccer games, boxing matches, Super Bowls (at least ones featuring other teams), & the upcoming Final Four games. But Jerry Jones is incredibly, inconceivably, mind-bogglingly under-skilled as a General Manager. It’s this simple: The role of the GM is to build a winning team. The measurement of success is wins. Regular season wins, playoff wins, Super Bowl wins. The current Jerry Jones method of team building has been more or less in place since 1997. If my math is correct, that’s about seventeen years. One thing Jerry has not yet fucked up. It’s resulted in 136 regular season wins and 136 regular season losses. And somehow, the Cowboys got themselves into six wild card games during these years. They actually won one of those. But if my math is correct, that means five losses. Good team building is like cooking. You have a vision for what you want the final product to look like, and you know how to get there. You choose the right ingredients and add them at the right time. Too much or too little of anything ruins the final product. Skilled chefs with quality ingredients lead to quality results. Mediocre talent and mediocre ingredients lead to mediocre results. Jerry Jones team building seems to work like this: Jerry goes to the grocery store. He puts stuff he thinks might be needed for tasty meals into his cart. He gets it home and dumps these things (his players) on the counter. Then he hires cooks (his assistant coaches). To the cooks he says here are some things you’re going to use to make me tasty meals. Then he hires a master chef (his head coach) to oversee it all. To the chef he says here are the cooks you’re going to use to make me tasty meals out of this stuff I’ve dumped on the counter. If that is going to be your method, you better be a motherfucking genius. The record over the last seventeen years would seem to indicate that Jerry Jones is not. It is what it is, but consider what it could be.